RESERVATIONSClick for reservations, pricing & quotes. HOME SERVICESSee why we are one of the leading luxury sedan companies in the Tucson area. SIGHTSEEINGLet's us show you the beautiful So. Arizona in comfort. TRAVELFind out how you can save both time & money when your are booking your own travel. How would you like to be able to Travel at wholes price or less or when you book your own travel, earn commissions on everything? Air - Hotel - Cruise - Car - Etc. - CLICK FOR DETAILS -Check this out, it's a must! - SEEING IS BELIEVING -Check this simple, profitiable business out. TRY IT! YOU'LL LIKE IT!Creat your own website or blog. A+ Rated, we are celebrating our 20th anniversary of servicing our customers. 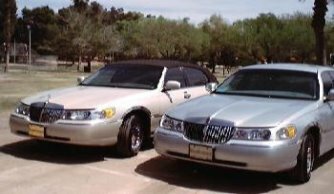 We are Arizona's, Tucson airport transportation specialist and one of the oldest limo town car luxury sedan companies in Tucson. Roadrunner specializes for all the Tucson metro, Tucson airport transportation, plus to and from the Marana, Mesa & Phoenix Sky Harbor Airports for homes, offices and hotel/resorts. Besides providing Tucson Airport Transportation and servicing all the local airports from the Tucson area, we also provide Southern Arizona Sightseeing and Custom Arizona Tours covering not just southern, but all of Arizona. Also, we now have a Travel Division, that originally was established to show our appreciation to our loyal customers for their business, by providing them many different ways of saving them both time & money when they book their own travel online. It has helped them so much, we decided to expand our services to everybody. 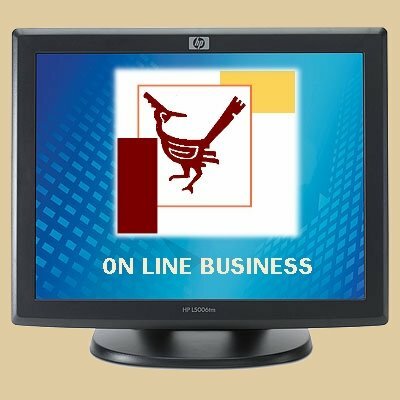 Roadrunner-OLB, our travel division, is not a travel agency, we simply provide the ways & means of how you can save both time & money when booking your own travel, via the internet. For more information simply click on travel at the top of this page. Do you really want to wast your VALUABLE time juggling rented or private vehicles? Do you feel DISORIENTED with the constant airport constructions & heightened security? Are you FEARFUL of car theft or damage from baking sun in parking lots? Are you FRUSTRATED with delayed flights or wandering shuttles? Are you TROUBLED with the questionable reliability/cleanliness of cabs? Let Roadrunner Solve ALL your Transportation Woes! LUXURY SEDANS: Clean & Well Maintained: Air-Condition; Smoke-Free. Passengers Met & Greeted; Constant Flight Tracking; Reasonable Rates. PROF. DRIVERS: Highly Screened & Knowledgeable; Professionally Dressed; Courteous & On Time; All Speak English Well. Roadrunner has been providing the Tucson community residences, business, hotels & resorts safe, secure, hassle-free airport transportation to & from Tucson, Marana, Mesa and Phoenix Sky Harbor Airports as well as providing southern Arizona, sightseeing tours since 1992. We've observed airport deteriorate rapidly into exasperating & anxiety-filled experiences caused by: heightened security resulting from 9/11 terrorist attacks & threats; constant construction of our airports; & the deregulation of the airlines, resulting in poor customer service, delays & cancellations. We specialize in leaving you stress & frustrations at the airport. One of the ways our customers have found to relieve their stress & frustrations, is flying in and out of Phoenix Sky Harbor, instead of Tucson, particularly during the winter, because they get a lot more direct flights, and not have to worry about the connection problems. Plus, if they are landing in Phoenix, we generally can have them home in their house, office or hotel about the same time or before, when they would be landing in Tucson. We pamper our customers with timely, clean, air-conditioned luxury sedans, driven by professionally dressed, well-screened & knowledgeable drivers expediting you & your luggage to curbside service at the airports. On your arrival or return, we're there to greet you in the airports with signs, then promptly drive you & your luggage to your final destination. Never again worry or be frustrated by flight delays or drivers that don't show, for we continuously track your flight. Payment is very convenient, we accept cash or credit cards. Businesses or corporations with guests, small groups or seminars can prearrange billing. Airport transportation reservations usually require 12 to 24 hour notice. Desert MuseumOne of the few living museums in the country & has all the desert wildlife & plant life live. Old TucsonOld Tucson Studios produced many of your John Wayne & Clint Eastwood westerns to name just a few. TombstoneThe town too tough to die & home of the famous OK Corral. Biosphere 2One of the worlds greatest technological wonders. TubacTubac is an artist coloney that creates some of the finest southerwestern art, such as: paintings, metal sculpters, ceramics, etc. ResidentialSee how we provided your travel comfort. Hotels & ResortsLearn how we have been providing convience & comfort to all their guests since 1992. Businesses & U of ASee how we give your company or dept. prestige to all your incoming & outgoing guests. Senior CitizensLearn how we love to pamper you! Our Furry FriendsSee why we are rated as a animal friendly company. Unseen ServicesLearn what puts us ahead of the rest. > CLICK FOR INFO <One of the finest and most profitable home based businesses available. Receive your own Personal domain name. 10 Custom Email Accounts using your domain name. Simple "Novice" up to 10 page Website building system. 24/7 access to update, monitor or change your website. Best of all: 7 DAYS FOR FREE, then only $10/mo. This site is 100% validated. OWNER PROFILE﻿See the profile of Roadrunner’s owner which created the foundation of our superior service. COURTESY LINKSFor your convience, Roadrunner has provided these courtesy links to give you immediate access to some of the best resorts, restaurants, sightseeing & other sites, you may need when visting Tucson. Airzona InnThis is an historic, boutique, 4 Star resort hotel & resturant, spread over 14 acres of gardens, fountains, flowers and lawns in the heart of mid-town Tucson. It has lg swimming pool, sauna, tennis courts, lg library, award-winning dining room & live piano music nightly. Lowes Ventana CanyonNestled in the canyon of Ventana & against the Catalina Mts, this luxury resort has 2 golf courses, lg spa, 2 pools w/Jacuzzis, lighted tennis courts & 5 dining options. Westin La PalamaLocated at the center of the beautiful Catalina Mts, this 4 Diamond resort has 1 1/2 golf courses, lg renown spa, 5 pools, 177' waterslide & 7 dining options. Westword LookSitting near the west end of the Catalina Mts., this award-winning resort, was Tucson's 1st resort and is known for it's unparalleled cuisine. It has spa, tennis courts & a riding stable. Hilton El ConquistadorNestled at the west end of the breathtaking Catalina foothills, this 4 Diamond resort is Tucson's largest golf resort. It has 2 1/2 golf courses, 31 lighted tennis courts, riding stables, & 4 dinning options. Omni Tucson NationalThis beautiful 4 Diamond for 9 years & 4 Star Spa resort, has 2 PGA golf courses, spa, State-of-the-Art fitness center, 4 lighted tennis courts, sand volleyball court & 3 dinning options. Ritz-Carlton Dove Mt.Nestled in the high Sonoran Desert against the Tortolita Mountains, this is Tucson's newest luxury resort. The 27 hole Jack Nicklaus Signature golf courses is the host of the famous Accenture Match-Play Championship. Besides 2 1/2 golf courses, it has spa, swimming pool, 235' waterslide, riding stables & 5 dining options. JW Marriott - Starr PassUp against the Tucson Mts., this world-class spa resort has a 27 hole Arnold Palmer signature golf course, spa, swiming pool & 6 dining options. Wyndham Canoa Ranch - GVThis beautiful Green Vallely Golf Resort is surround by the majestic Santa Rita Mountian Range and takes away from the fast past of the city. It has two professionally design golf courses, heated pool, full service spa, luxeries rooms and 1 & 2 bedroom condos, and a beautiful onsite grill. Tanque Verde Guest RanchSince 1868, Tanque Verde Ranch has been reviving the spirit of the Old West by providing guests with luxurious accommodations, authentic dining, unparalleled amenities. Offering horseback riding & lessons, trail rides, hay rides, hiking, mountain biking, tennis, swimming & fishing. Canyon Ranch Health SpaAs the world’s leading health and fitness resort, Canyon Ranch has garnered worldwide recognition for its innovative programs and integrated approach to health and wellness. Miraval Health SpaThis top-rated all-inclusive retreat is a resort, an award-winning spa and is focus on healthy and sustainable living and dedicated to opening your eyes, minds, and hearts. Sierra Tucson Recovery Ctr.A private recovery center providing individualized treatement from sexual, drug & alcohol addictions to anxiety, depression & eating disorders and much more. Esplendor Resort - Rio RicoSet among rolling mountains, overlooking the lush green Santa Cruz River Valley and amid centuries of history. 40 minutes south of Tucson, it has 18 hole world class golf course, pool, sauna, tennis & 3 dining options. Lifetstyles Culinary Ratings("TLS" = Tucson Lifestyles) Tucson Lifestyles magazine is Tucson's main authority in rating food, dining, travel, resorts, hotels and golf courses. Hear you well see the top three restaurants in 34 catagories in Tucson. Pinnacle Peaks - SteakhouseHome of the famouse Cowboy Steak served in the true Wild West spirit of hospitality and simple cowboy cooking. A true must, if you have never experience the flavor of the old west, of steaks cooked on open pits, using pure misquite wood. El Charros Cafe - Mexican"TLS" Established in 1922, El Charro Cafe is Tucson's #1 Mexican restaurant. It is the Nation's oldest Mexican restaurant in continuous operation by the same family, featuring traditional Sonoran cultural style and innovative Tucson style Mexican Food. McMahon's Prime Steakhouse"TLS" McMahon’s is Tucson's #1 Prime Steakhouse with a wine list next to none. Providing an unrivaled dining experience with an ambiance of understated elegance, showcasing original Western artwork from area artists. Red Lobster - Seafood"TLS" 2010 rated #3 in Seafood, Red Lobster holds some of the highest standards for service, quality and a welcoming atmosphere. Each day, you’ll find an updated selection of fresh fish on their Today’s Fresh Fish menu along with live Maine lobster. Famous Sams - Sports BarsFamous Sam’s is one of Tucson's leading Sports Grill with over 9 convient locations, providing an exciting place to meet friends & family and to experience their delicious overstuffed sandwiches & wide selection of beers, while watching your favorite team sports on their many wide screen TV’s. Buddy's Grill - Family Rest. "TLS" Rated #1 as Tucson's best family restaurant, Buddy's has been satisfying family & visitors with fresh seafood, pasta, prime rib, gourmet Angus hamburgers, salads & much more since 1992. Cafe Poca Cosa - Mexican"TLS" Tucson's #1 choice for this authentic signature Mexican fine dining. Serving Sonoran authentic regional flavors with the freshness ingrediants purchased daily. La Fuente - Mariachi MusicTucson favorite for Mexican cuisine and Mariachi entertainment since 1959. One of Tucson's largest and oldest Mexican restaurants featuring the greatest variety of Mexican cuisine to be found in all of Southern Arizona. Kingfisher Bar & Grill- Oyster BarThere legendary oyster bar features over 15 varieties of speciality oysters, mostly from Pacific Northwest. Perennial winner of Wine Spectator's Award of Excellence - since 1994! and has weekly Jazz & Blues on Monday nights. Vivace - Italian"TLS" Rated Tucson's #1 Italian fine dining restaurant. Serving the finest gourmet Itialian dishes which are heavenly and each bite melting on your tongue. Hacienda Del Sol Grill"TLC" Rated #2 for Tucson's Continental cuisine for it's celebrated dining venue and holds the #1 title of “Tucson’s Most Romantic Dining”. It also has captured Wine Spectator’s “Best of” Award of Excellence for over a decade. P.F. Chang's - China Bistro"TLC" Rated #1 in Tucson for Chinese fine dining that has the vision of creating great craveable food that their guests cannot get anywhere else. Le Rendez-vous - French"TLC" Rated #1 in French fine dining. For the taste that is sublimity in Tucson, this intimate, lovely restaurant offers some of the most consistently heavenly fare in town. Saguaro National ParkThere are two parks. The East - Located in the Rincon Mts. & the West - Located in the Tucson Mtgs. The Saguaro is protected by the state and the National Moment is located in the West forest, of the Tucson Mts. Colossal CavesThe caves tempertature hovers between 70 to 71 degrees all year around and were first used by the Hohokam and Apache indians. Then later by outlaws as their hideout. There have been over 2 miles of passageways explored, and believed to be much more. Bisbee Queens MineOne of the most productive copper mines of the 20th century. It produced over 8 billion pounds of copper, along with gold, silver, lead and zink. Outfitted in hard hat, miner’s headlamp and a yellow slicker, visitors descend on a miners train into the Queen Mine deep underground and back in time. Sabino CanyonSabino Canyon is a natural desert oasis located in Tucson’s Coronado National Forest and is home to spectacular desert landscapes and abundant wildlife. Hike the variety of trails or ride the tram and explore natures natural beauty. Titan Missile MuseumThe Titan Missile Museum is the only publicly accessible Titan II missile site in the nation. You get to see all 8 levels of the underground silo, from level 1 where you'll view the silo closure door opening mechanism, to level 8 more than 140 feet underground. San Xavier MissionSan Xavier Mission was founded as a Catholic mission by Father Kino in 1692. Construction of the current church began in 1783 and was completed in 1797. The oldest intact European structure in Arizona, the church's interior is filled with marvelous original statuary and mural paintings and is the only mission that has been in continous opperation since it was first built. Pima Air & Space MuseumPima Air & Space Museum is one of the largest air and space museums in the world, and the largest non-government funded aviation museum. There are over 300 aircraft and spacecraft including many of the most historically significant and technically advanced craft ever produced, both from the United States and throughout the world. International Wildlife MuseumFounded in 1988, the museum highlights over 400 species of insects, mammals and birds from around the globe. Some of the collections are more than 100 years old. Dioramas depicting wild animals in their natural settings, videos, interactive computers, and hands-on exhibits promote wildlife appreciation and conservation. Tucson Botanical GardensThe Tucson Botanical Gardens, a tranquil oasis in the heart of Tucson, strives to be recognized and respected as the best small public garden in America. It promotes responsible and appropriate use of plants and water in a desert environment through education and demonstration and provides a place of beauty and tranquility. DeGrazia Art GalleryDeGrazia was one of the world most famous Southwestern Painters. He probably was best known for his paintings of indians without faces. His fame really flourished when UNICEF chose his 1957 oil painting "Los Ninos" for a 1960 holiday card that sold millions worldwide. The Presidio TrailThe Presidio Trail is a 2 1/2 mile walking tour of Historical downtown Tucson. It starts & ends at the Presidio San Agustín de Tucson and takes you through the Barrio. Nogalas, MexicoThough known as the twin citiies, Nogalas, AZ & Nogalas, Mexico, their cultures very drastically. If your love is pottery, glassware, furniture, baskets, rugs, leather, or jewelry you can find unique and beautiful pieces at a reasonable price. RoviaSign up for FREE, as a prefered member & experience time & cost savings when booking all your own travel. World VenturesJoin this travel club, and get Dream Trips, Sportsman Outings, Crusies, Weekend Get-a-ways and much more, below the best price online for the same trip. Flight ViewFREE tracking service for tracking any comercial airline anywhere in the United States. Tucson Airport AuthorityTucson International's website, giving you any information you might need concerning their airport, parking, flights in/out of Tucson, baggage and whatever. Tucson MallTucson's largest mall is Southern Arizona’s premier shopping and entertainment destination. You’ll enjoy sensational shopping with over 200 specialty shops, carts, kiosks, and four department stores and many restaurants. Foothills MallTucson's major outlet mall. Over 100 outlets, carts, kiosks, resturants, international food court, multiplex theater & game centers. Park Place MallExperience the southwestern hospitality of Tucson’s favorite shopping destination, Park Place! Over a 100 shops, carts, kiosks, restaurants, three department stores and a multiplex theater. La EncantadaThis is Tucson's premier shopping mall. It is an elegant refuge for the region’s best shopping and dining. Gracious courtyards, sweeping staircases and magnificent Spanish-style architecture frame a singular experience for stores you well love. Plus, a wealth of restaurants for your divine nourishment. Phillips PlazaThis is one of Tucson's beautiful plaza's that has many restaurants, entertainment, elgant shops, Windmill Hotel and banks.